We are very proud of our excellent safety record. Safety is our main priority and is foremost in the design of all our products. We have strict quality standards for manufacturing and Polydron is ISO9001-2015 registered. Our products are independently tested to: EN71, and ASTM American Safety Standards. Certificates are available on request. We have won numerous awards for design and excellence from various organisations including; What Toy, The Design Council, Spiel Gut and Parents' Choice. Magnetic Polydron won the 2012 Teachers' Choice Award. The Teachers' Choice Awards recognise excellence in class room products. It holds their interest for an extended period of time. The mat of ideas of things to build were very helpful for me and the students who are not that creative! They learned about 3D solids and were able to clearly see what VOLUME means. I would recommend this product because it makes these geometric terms more concrete to the students because they are making the figures and holding them in their hands. And it's FUN! Math should be fun and enjoyable… and I think this product achieves that goal! I think that all kindergarten and first grade rooms should have these as a resource. They are a great resource for many concepts in math and science. Giant Polydron won the 2012 Teachers' Choice Award. The Teachers' Choice Awards recognise excellence in class room products. I like that the pieces are very bright and sturdy. The pieces are easy to connect to each other. Many different ages can enjoy playing with this product, older children would make more elaborate and difficult shapes and younger children can just connect the pieces together. Gross motor skills are used, creative thinking, working together to create a project, problem-solving when pieces do not fit. It is a great product to use many parts of your brain. 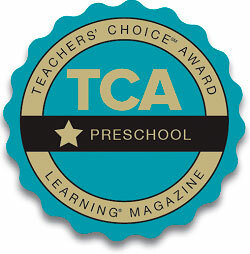 My First Polydron won the Learning Magazine 2019 Teachers' Choice Award for TCA Preschool. What aspects of this product did you like the most? I liked that the pieces did not fall apart easily, but were not hard to put apart. The ease of use. No one got frustrated with the pieces while putting them together nor taking them apart. The children used their imagination to make rockets, cages for animals and boats. The ease of use was the thing the most. But I also liked the soft colours and unique material. It is not a flimsy plastic and your ordinary rainbow colours that most preschool toys come in. How would this product need to improve to better support your curriculum? The only way I would improve this product is to have the pieces in more vibrant colours. I cannot think of anything to improve this product. Maybe add additional shapes to go with the sets or other sizes? How did you make use of the product, or integrate it into your lesson plans? We used this in a center. The children created shapes (2 dimensional and 3 dimensional). They enjoyed creating railroads, houses, etc. At first, we just explored and built things with the pieces and used the box illustrations for some guidance. This product is was a big hit with all ages in the preschool. Even the youngest students could build with it. We used it to discuss colors and shapes and 3-D shapes. We played with this product in the block center. They loved building and making new creations!! We were able to tie them to math lessons when counting and talking about shapes. Would you recommend this product to a teacher at the appropriate grade / age level? Please explain why or why not. Please remember: Price of the product should NOT be a factor in recommending a product! Yes, it promotes creativity and eye hand coordination. I would recommend this product to other teachers. The children loved playing and exploring different ways to use the shapes. The Pre-K children loved it the most and could look at the box illustrations and copy them to build the same shapes. Even the 2's and 3's could build and take apart the shapes without any trouble. Yes! I would recommend these to other teachers because they kept the kids engaged for such a long time. They wanted to keep building and extending their towers and buildings. Hello! Are you a returning customer? Sign In or create a Create Account. Download or order a copy of our latest trade product catalogue. 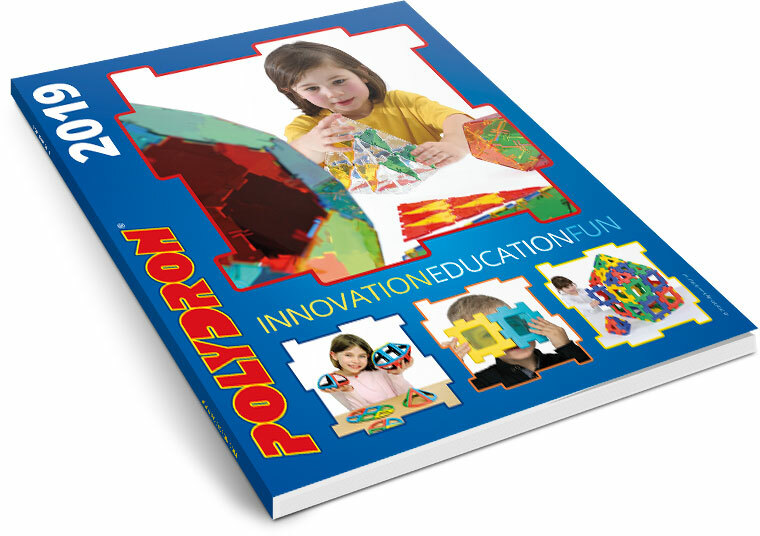 Are you interested in becoming an International Distributor for Polydron? Let us know what you think about Polydron by Sharing Your Ideas!